The FluidPro Hover high-capacity Membrane Air Dryers are designed to hover just below the dew point to prevent moisture condensation in compressed air systems. FluidPro Hover operates at flow rates previously unattainable with a single module. A breakthrough in innovation, the FluidPro Hover is designed to maintain conditions just under the air saturation point at which water vapor condensates. This dew point suppression results from the continuous removal of water from the incoming air steam, keeping the unit hovering at moisture levels too low for condensation to occur in the first place. 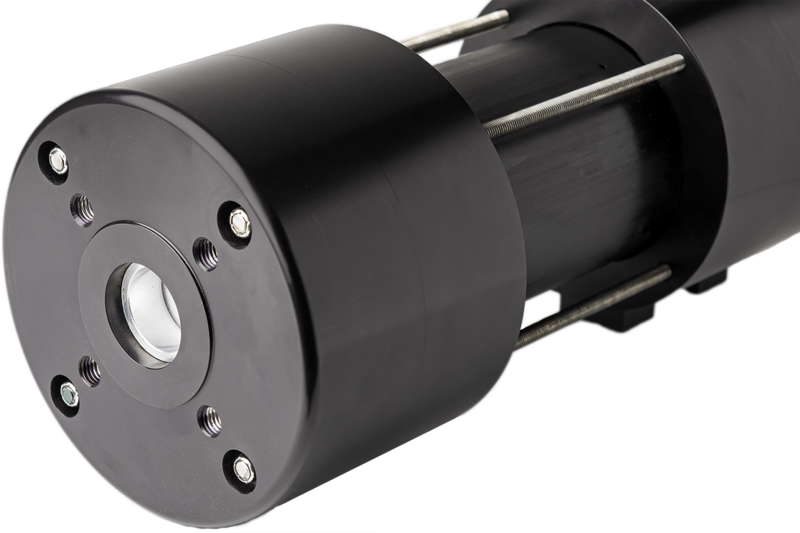 The FluidPro Hover was engineered for high flow rates at low pressure drops, equivalent to that of small refrigeration dryers. It is easily installed inline and needs no electricity, making it ideal for confined spaces, skidded assemblies and other mobile or portable applications, as well as remote areas without pre-wiring. Applying Pentair’s advanced membrane technology, the FluidPro Hover can handle much higher flow rates than any other membrane air dryer. It supports inlet air flows as high as 9.6 m³/min (330 cfm) in a unit less than 51 cm (20 inches) long. Unlike refrigeration dryers that require floor space, routine maintenance, a temperature-controlled environment, and electricity, the FluidPro Hover membrane air dryer was designed for inline installation, is virtually maintenance-free, dehydrates air even at extreme ambient temperatures, and requires no electricity. While other compressed air drying methods can achieve low dew points, attaining such levels of dryness adds unnecessary expense if it is not required. The FluidPro Hover prevents condensation without any power use, making it the safest possible option in environments with increased explosion risks. The purge control port allows for the collection of valuable gases and maintains line pressure in intermittent start/stop applications. Air contains moisture. The moisture in the air will begin to condense when it reaches its saturation point, known as the dew point. At saturation, the relative humidity of air is 100%. Air containing half of the potential amount water it can hold at a given temperature and air pressure is said to have 50% relative humidity. A 50% relative humidity level is well below the saturation point, significantly reducing the likelihood of moisture condensation. This relative humidity is achieved by a reducing the pressure dew point by about 20˚C (36˚F). While many compressed air drying methods achieve ultra low dew points as low as -40˚C (-40˚F), attaining this level of dryness may add unnecessary expense if it is not required. 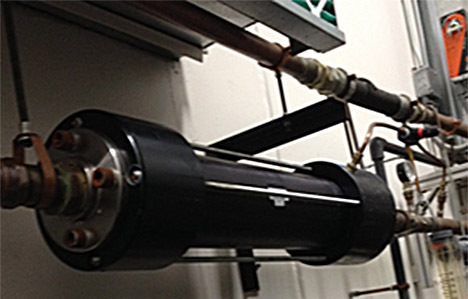 The Hover Membrane Air Dryer is a high capacity compressed air dryer that is designed to maintain a relative humidity at or below 50% reducing the risk of condensation - without the condensate disposal costs, installation constraints, and electric power expenses required by other drying methods. An external purge port orifice is standard for the FluidPro Hover membrane air dryer. The external purge port orifice can be connected to a valve to shut off purge air when the system is not in use, the purge port can be connected to a manual or automatic controller to adjust the purge rates to achieve the desired performance, or the purge port can be connected to an alternate source of air for the collection of process gases.